WOLVERHAMPTON were struck by the curse of Wimborne Road once more in a late 46-44 defeat at Poole but boss Peter Adams remains upbeat. 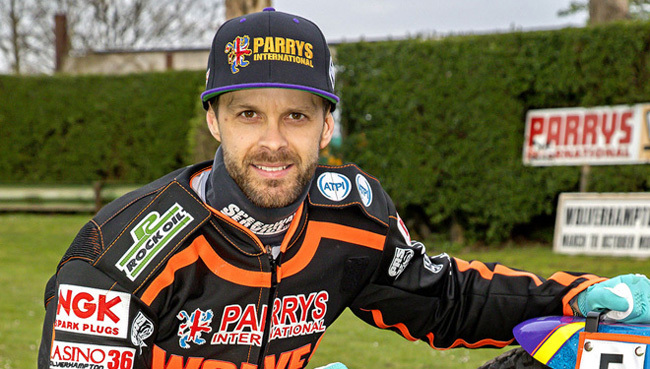 The table-topping Parry’s International Wolves, missing talisman Freddie Lindgren, led on four occasions only to fall behind for the first time as the final chequered flag came down in Dorset. Victory would have been the club’s first at the home of the Pirates since April 2013 but flying Australian Brady Kurtz secured his fifth win of the night ahead of team-mate Hans Andersen to swing the pendulum at the last. “It was disappointing to lose but they made the better start in heat 15 and the track was very difficult to ride,” said Adams. “There was very little passing so once we missed the start, it was curtains. "There were plenty of positives, though. We took a point from a very difficult meeting which stretches our lead at the top of the table, this hasn’t been a happy hunting ground for us for a very long time so the performance was encouraging. “The team hadn’t been together for a while but the spirit and togetherness were there, everybody did their best and it was a case of so near yet so far. Kyle Howarth stood out against his former club, beating Pirates’ leading lights Grzegorz Zengota and Andersen, while Rory Schlein top scored with raw pace that often left opponents trailing in his wake. Howarth opened with a tapes-to-flag win over Zengota before Mark Riss gave Wolves the edge in the reserve race. Poole did not make up any ground until heat six and as soon as they had, Schlein quickly put the visitors back in front by stretching his lead over Andersen throughout heat seven. Jack Holder and Kurtz helped to restore parity but another Schlein success followed by Howarth’s thrilling win over Andersen had Wolverhampton four to the good. Guest Josh Grajczonek bagged a vital win but Poole hit back with Kurtz flying around in his final two outings with heat 15 producing the only 5-1 of the night. POOLE 46: Brady Kurtz 15, Hans Andersen 11+1, Jack Holder 9+1, Grzegorz Zengota 4+1, Josh Bates 3, James Shanes 2+1, Kyle Newman 2. WOLVERHAMPTON 44: Rory Schlein 11+1, Kyle Howarth 10, Jacob Thorssell 6, Sam Masters 6, Josh Grajczonek 5+1, Mark Riss 4+1, Nathan Greaves 2+1.